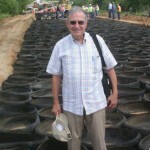 Sam Bonasso, the inventor of the Mechanical Concrete design, is in Texas this week illustrating the tire-derived-geo-cylinder confinement system that has been put to use in West Virginia. 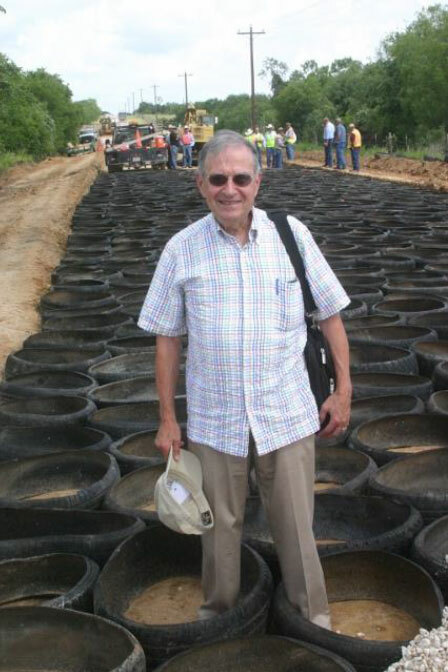 Commissioned to find a solution for the millions of old tires, Bonasso, a civil engineer by heart, came across this idea that is now being piloted here in Guadalupe County. A demonstration of the design is currently underway on Elm Creek Road off state of State Highway 123 South.